so yeah, have you voted? Because I’m pretty darn premenstrual at the moment and the fact I am SO.FAR.BEHIND the current front runners is making my standard monthly wallow in the Pool of Paranoia is positively scalding. Chickens! Chooks! The Girls! LAYdies! Aren’t they gorgeous in a skeevy gorgeous kinda way!?! 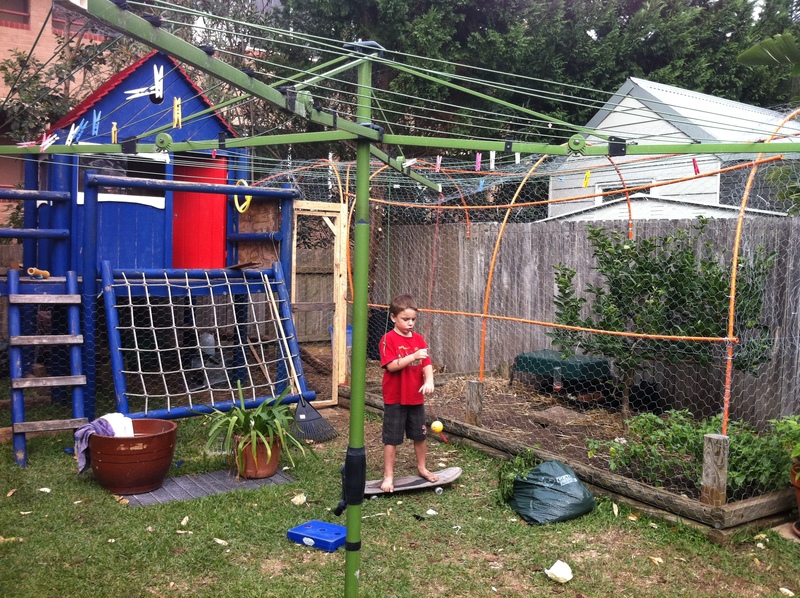 That green box lid thingy you can see near the lime tree is the guinea pigs cage – the two species are happily living together. So far. The piggies are in space heaven, coming out and running around and squealing and jumping and just being generally adorable in that I’m-not-a-rodent kind of way. Can you believe they’re all still alive! Even more surprising, can you believe I haven’t given them away! Anyway, back to the chooks. I wanted to call them Drumstick, Cripsy Fried and Honey Soy but apparently that was ‘mean’. So they’re Daisy, Lily and Rosie. SNORE. I am, of course, rather obsessed with them. Their first night involved me going out, at midnight, to see where they were roosting. I know. Send help. This is Rosie. Or Lily. Or Daisy. 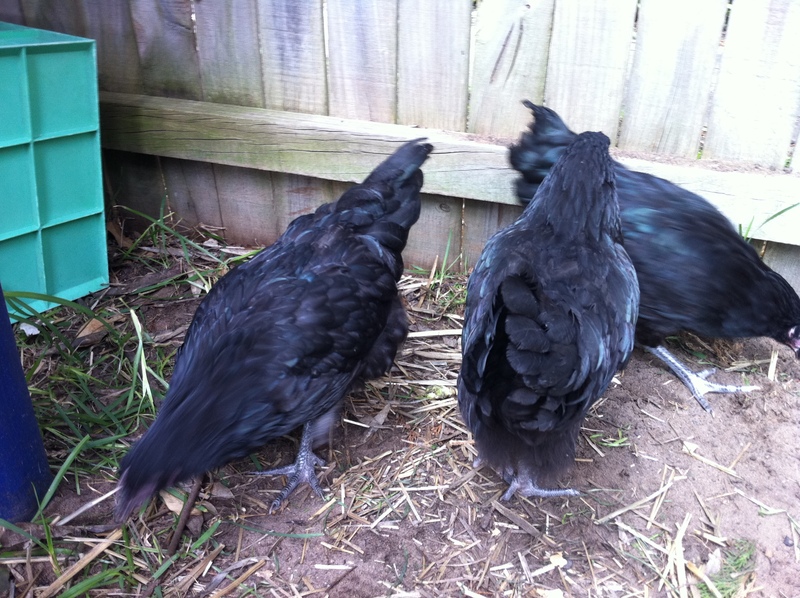 They are Australorps. 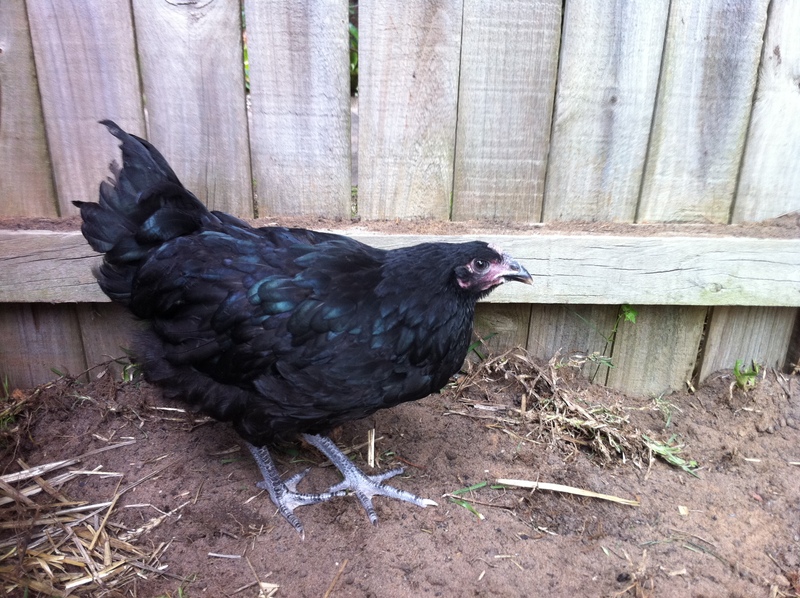 Australia’s National Breed of Poultry. Apparently. It’s also a ‘bird of curves‘ which seems appropriate. They are known for being quite docile and good layers. Also appropriate. Well, maybe not the docile part. Ours are about 6-8 weeks off laying so at the moment there’s just a lot of us clucking around them. We’re all quite smitten.